Whether you’re planning a wedding, a press conference or a corporate event, maintaining a good overview of all your resources, tasks, deadlines and stakeholders is key. 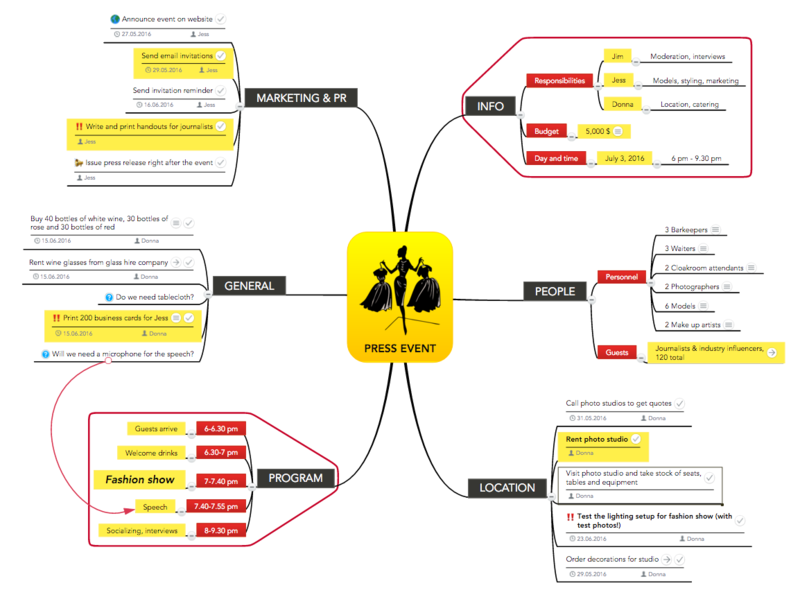 A mind map is a fantastic format for event planning as it enables you to collect all information related to the event in a centralized place, invite your co-organizers to collaborate with you, and go efficiently from brainstorming to execution. Jess and Jim are fashion stylists who’ve just started their own styling agency. 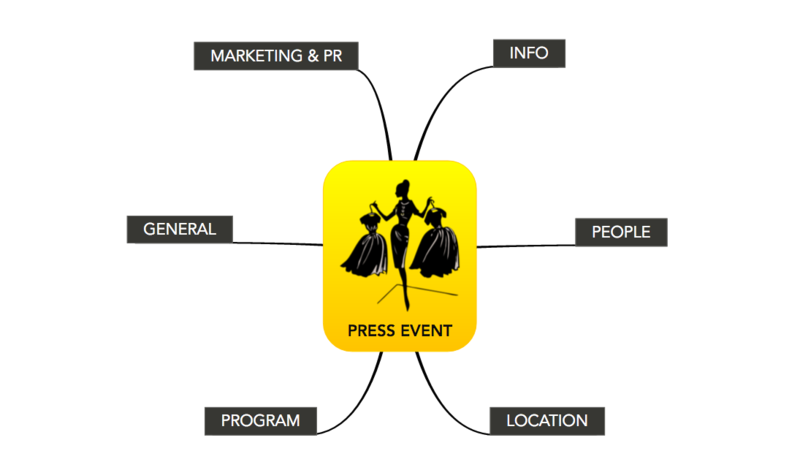 To launch their new business with a boom, they’re organizing a press event for local fashion journalists where they can showcase their work. 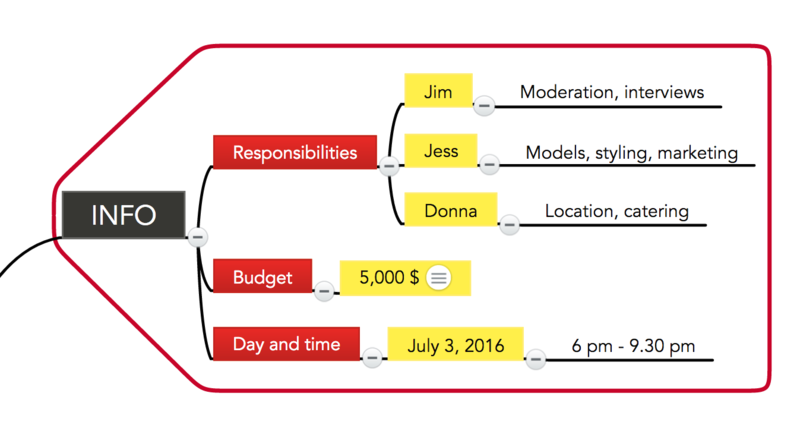 Once the basic structure of your map is finished, share it with your co-organizers either via email or via link so you can brainstorm and work out the details together. Use the INFO branch to note down the budget you have available, the event’s date and time, and everyone’s responsibilities. This branch will subsequently offer you a quick overview of the most important event details. Tip: To determine the best date and time for your event, first check the calendar to ensure you don’t have to compete with other major events or holidays. In our example, Jess and Jim would have made sure not to hold the event during New York Fashion Week or Berlin Premium. Unless you’re planning a birthday party for your loner cat, the number of invitees is probably too big to write the name of every single person in your mind map. 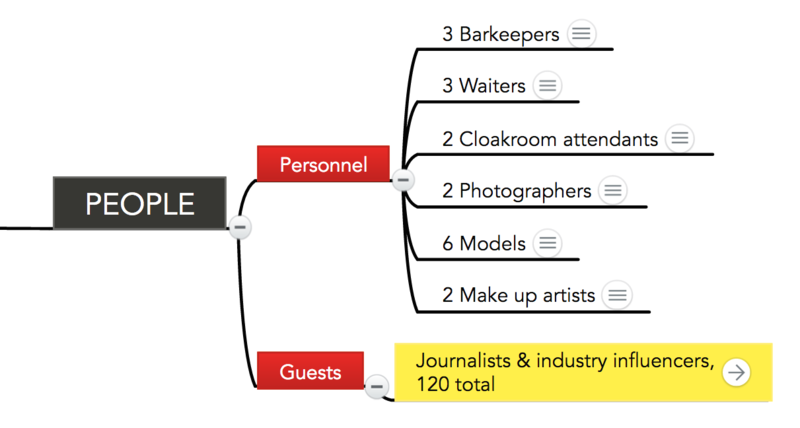 A Google Sheet or Excel file is much better suited for a complete guest list with names, email addresses and phone numbers, and anyway, you can easily attach the file (or add a link to the Google Sheet) to your mind map. If the event isn’t too big, however, you may find it useful to include an overview of the organizing team and key personell in the map itself. You can add people’s contact details in the notes section of their names to ensure the map doesn’t get too cluttered. If you already know the location for your event, you can note down the address in the LOCATION branch right away. Jess and Jim from our example weren’t sure where to hold their event at first, so they used a separate mind map to brainstorm ideas and consider the pros and cons of each venue. After careful consideration, they decided that renting a big photo studio in the city would be ideal for their press event, as it would be easy to reach for journalists, not too expensive, and offer a fitting space to showcase their work. Jess and Jim already know a few studios in the city, so all they have to do is find out which one is available for rent at their preferred date and for an amount that fits their budget. 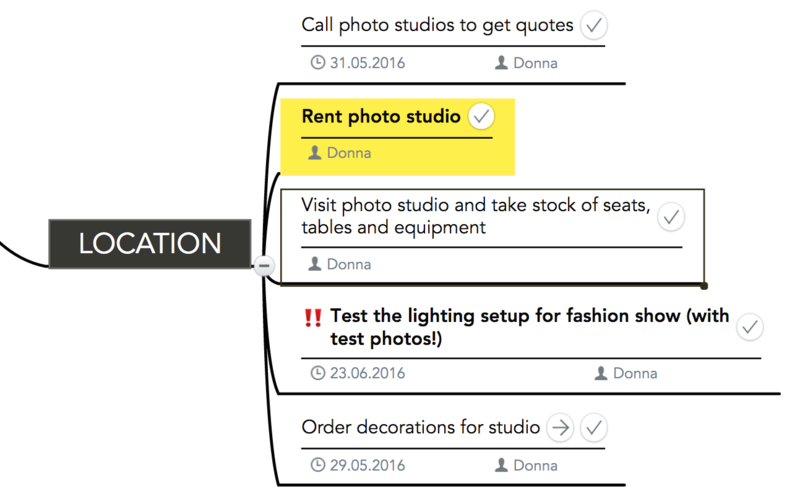 They create tasks for all of these to-dos in the LOCATION branch and assign them to Donna, their assistant who’s responsible for all things related to the venue. Tip: Be sure to use whole sentences or phrases in those topics that are used as tasks. 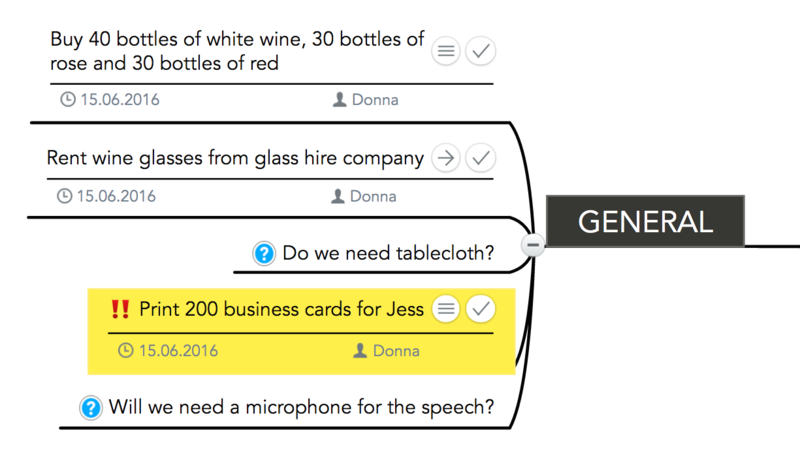 If you decide to export the tasks into a separate project management tool such as MeisterTask, you won’t see the context of the mind map, so single keywords may not offer enough information anymore. 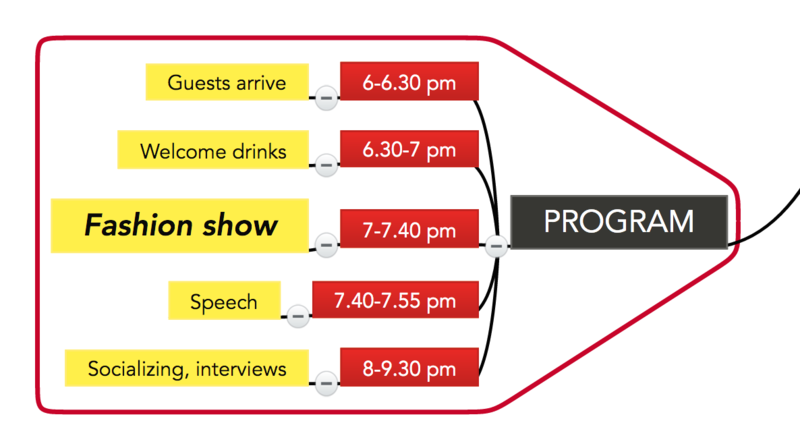 In the PROGRAM branch you can outline the main agenda items and note down the estimated starting times of each one. The key to successful event planning is to be realistic with your estimations and keep in mind that things often take longer than expected. 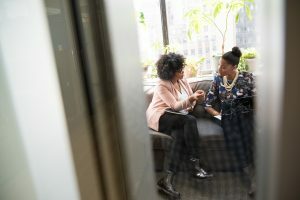 Now, think about all the smaller things that happen before, during and in-between those main items, starting at the beginning: How will guests get to the location—do you need to organize any sort of transport? What will the weather be like at the time of the event—will you need a cloakroom and attendant? Who will hand guests the welcome drink and how many bottles of each beverage will you need? Who will take away empty glasses from tables? Are there even tables at the venue, and if so, are there enough? You can add topics and tasks to the agenda items themselves or insert them into another related branch. Things that aren’t directly related to location, marketing, or people just go into the GENERAL branch of your mind map. 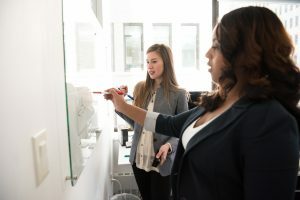 Tip: A good way to find holes and oversights in your event planning is to visit the location and do a walk-through as if you were one of the guests. Once the planning phase is concluded, it’s time to get to work. 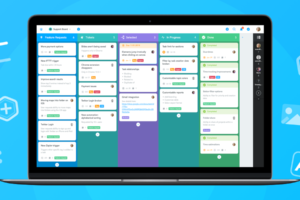 By now your mind map probably holds quite a big number of tasks. If you want, you can just leave them right there and use the map itself as your task management platform. 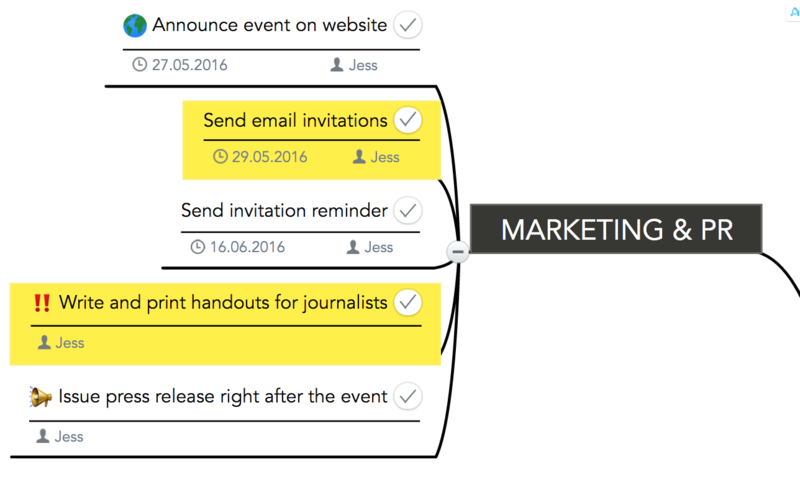 In addition to assigning tasks to map collaborators you can add due dates and priorities in MindMeister, and indicate the completion of tasks. 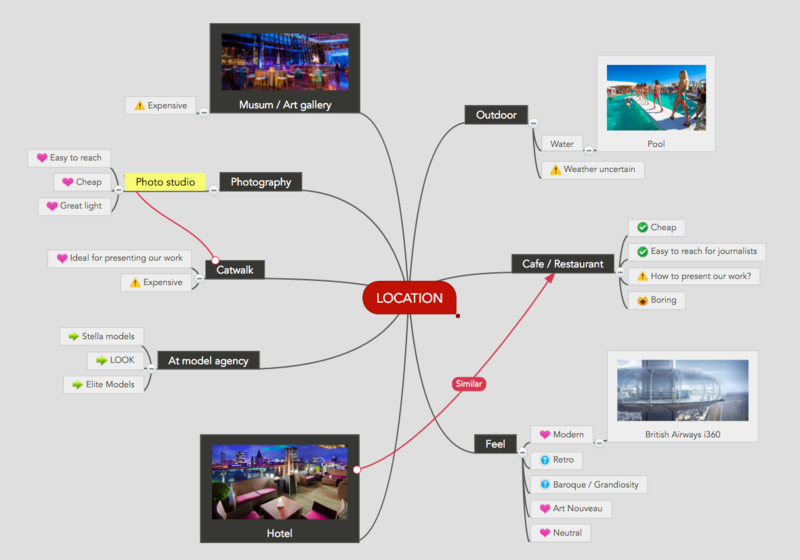 For bigger events, however, you may find that the mind map is not the best format to manage all tasks. 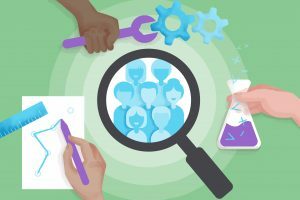 Luckily, going from planning in a mind map to execution in a task management tool is simple and only takes a few seconds. 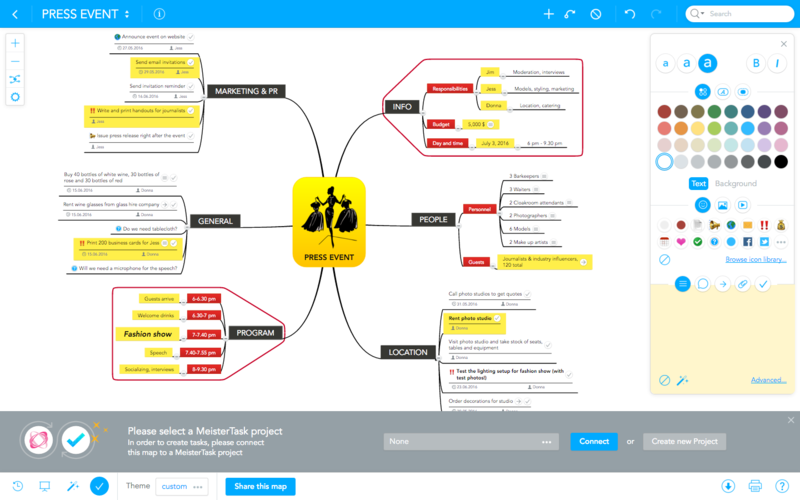 If you’ve signed up for MindMeister’s little brother MeisterTask (using your existing MindMeister login details) you can simply open the MeisterTask footer in the mind map and create a new project board. 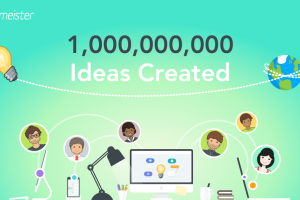 All mind map collaborators will automatically be invited to the project, and all tasks will be exported immediately. 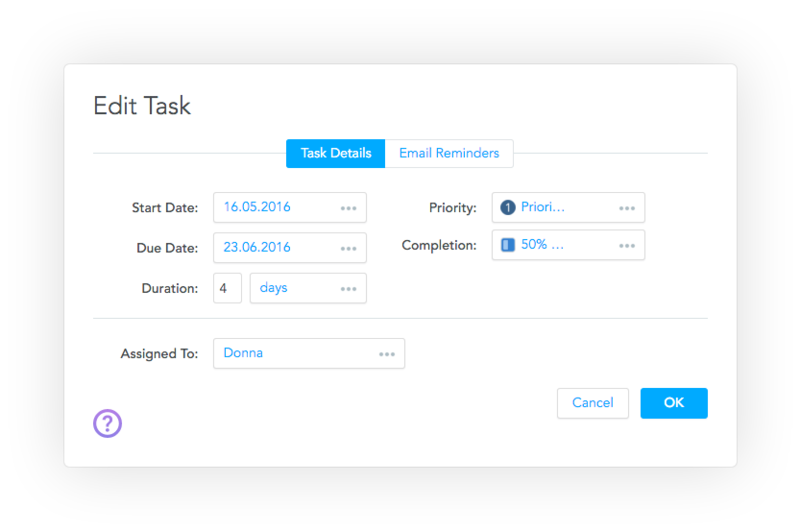 In the MeisterTask project board you can then create a workflow that fits your needs (e.g. 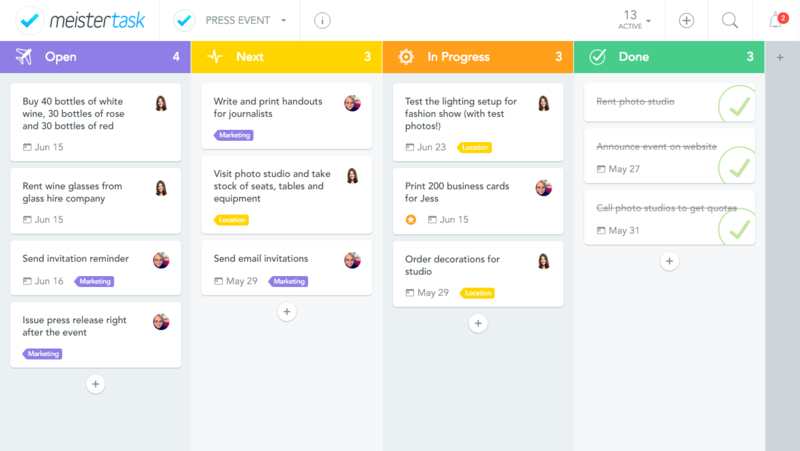 using the Kanban method) and organize tasks accordingly. 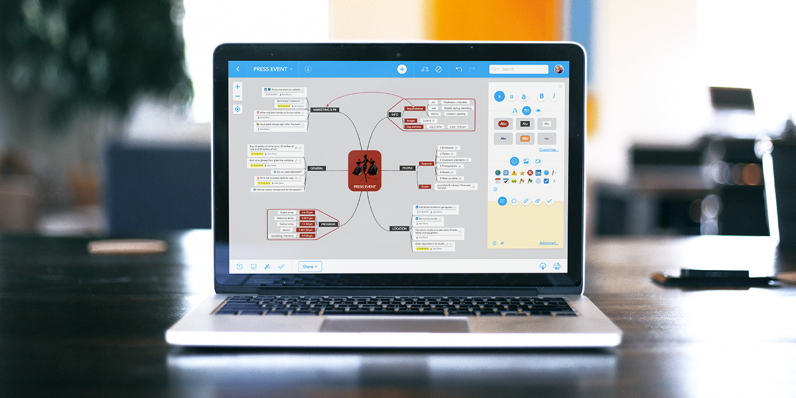 For more information about the workflow between MindMeister and MeisterTask, you can take a look at our short demo video or read more on our website. Useful thing, thanx! It’s cool when you can create and share your mind map. 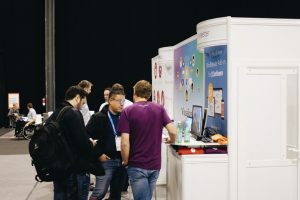 You know, recently I have found one more convenient website https://best-vegas.com/events-in-december/ for those who live in Las Vegas or planning to travel there. Here you can find all of the events and interesting things about the city.